Alan Turner CA, Tax Director with KPMG, discusses the implications of the UK's new diverted profits tax. The UK's newly introduced diverted profits tax (DPT) became effective on 1 April. It is targeted at tax avoidance by multinationals, but there are concerns around the wide-ranging scope of the tax and its administration. Where a multinational carries on activities in the UK without the creation of a taxable presence, resulting in the avoidance of (or a reduction in) UK tax. Companies already subject to UK corporation tax. 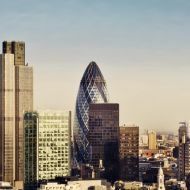 The first scenario is aimed at foreign multinationals operating in the UK that, despite generating significant revenues, structure their arrangements in such a way to limit the level of profits subject to UK corporation tax. The second is aimed at companies already subject to UK corporation tax. Targeting firms which enter into arrangements lacking economic substance in order to exploit tax mismatches is a legitimate policy for Government. However, the rules are complex and widely drawn, sparking the need for multinationals to consider all intercompany transactions – and, in particular, the transfer pricing – involving its UK companies and permanent establishments. The underlying "mischiefs" which DPT is intended to target are being considered as part of the Organisation for Economic Co-operation and Development (OECD) base erosion and profit shifting (BEPS) project, a response to perceived inadequacies in international tax rules which is due to be concluded later this year. If the UK implements the BEPS recommendations as expected, it remains to be seen whether there will be a need for separate DPT rules. By introducing DPT now, some might see the UK as having "jumped the gun", thereby risking its international tax competitiveness. With DPT being applied at a higher rate than corporation tax – 25 per cent of the diverted profits (or 55 per cent for diverted ring-fence profits) – it is clearly designed to be punitive in nature and to encourage behavioural change. The rules on payment and interest. While there is no duty to notify for companies that are exempt from DPT (most notably SMEs) and those that have (or believe they have) provided sufficient information to enable HMRC to consider the application of DPT, the subjective nature of the latter is such that many will consider filing protective notifications. Should HMRC believe that DPT applies, a preliminary charging notice will be issued within two years of the end of the relevant accounting period (extended to four years if no notification made). The company has 30 days to respond to this notice, following which a "final" charging notice will be issued. Full payment of the DPT and interest (which accrues from six months after the end of the accounting period) is then due within 30 days. HMRC will have a further 12 months to review its own charging notice and determine the final liability, which the company can either accept or appeal against. The requirement to make payment based on an HMRC-estimated liability is a departure from the UK corporation tax "self-assessment" regime and provides significant additional power to HMRC. One of the stated aims of DPT is to help HMRC target tax avoidance. However, with this uncertainty over notification, there is a risk that HMRC will be inundated in the first year and unable to allocate limited resources at the relatively few cases where DPT is actually expected to apply. DPT's success will be measured by whether it results in behavioural change by a few, but this needs to be considered against uncertainty and administrative burden for the many, as well as any longer-term damage to "brand UK". Alan Turner CA is a Tax Director with KPMG. This article first appeared in the May 2015 issue of The CA magazine.